Neil Cornrich & NC Sports, LLC: "I think he might be Bill Cowher"
That’s what one club official told me during the coaching searches of the past three weeks, referring to the latest hire on the NFL coaching scene: Mike Vrabel as head coach in Tennessee. Vrabel continues a trend of hires and moves and interviews with Bill Belichick’s fingerprints all over them. 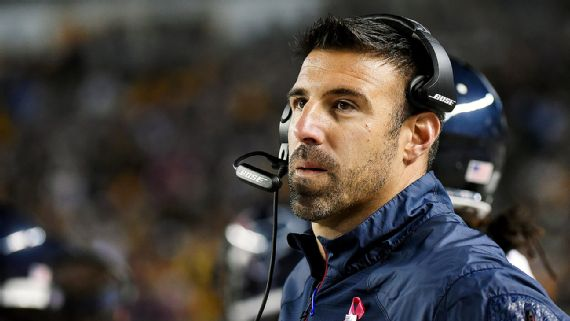 As a first-year defensive coordinator in Houston, Vrabel oversaw a defense that finished dead last in points allowed and was 20th in yards allowed; that’s a bit misleading because of the early-season losses of J.J. Watt and Whitney Mercilus. But the numbers are the numbers. It was his commanding presence, and his pedigree as a player, that helped him get hot this month. He played five years as a linebacker and special-teamer under Bill Cowher in Pittsburgh, then moved on to play linebacker and some offense for eight years with Belichick before finishing his career with two seasons in Kansas City.